The over-arching goal of my research is to provide the aviation community the tools it urgently needs to analyze, design and certify the next-generation aircraft that are safer, greener and quieter. To that end, I focus on developing efficient adjoint-based optimization methods and multi-fidelity simulation methodologies to enable efficient aerodynamic and aeroacoustic designs. Since 2015, I have been one of the principal developers of the open-source SU2 software package for multi-physics analysis and design, leading the development effort in the area of aeroacoustic prediction and design optimization. Active users of the SU2-CAA solver include NASA, Embraer S.A. and a number of research groups in academia. Meanwhile, I serve as a consultant to the NASA Langley Research Center on the topic of adjoint-based aeroacoustic design optimization. 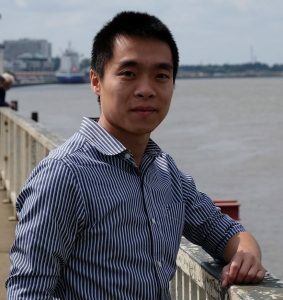 In addition to aeroacoustic prediction and optimization, other areas of my research interest include: hybrid RANS/LES methods for turbulent flows, design under uncertainty, and bio-inspired aeronautical designs. This NASA-funded effort focuses on the development of an integrated aeroacoustic optimization framework to enable efficient noise-reducing designs of propeller and rotor blades, in support of the NASA Transformational Tools and Technologies (TTT) Program. This project builds on the existing development of the fixed-body Ffowcs Williams-Hawkings solver and the coupled CFD-FWH adjoint in SU2 (see Past Projects below). In particular, the current FWH implementation will be generalized to account for moving sources. The coupled adjoint solver will also be modified to enable sensitivity computations on rotating/sliding meshes. In addition to isolated propellers/rotors, prop-prop and prop-wing interaction noise will also be investigated. The target configuration is the NASA X57 Maxwell distributed propulsion aircraft. A range of aeroacoustic benc hmark cases are scheduled to be examined to validate the noise prediction capabilities of the SU2 aeroacoustic solver. 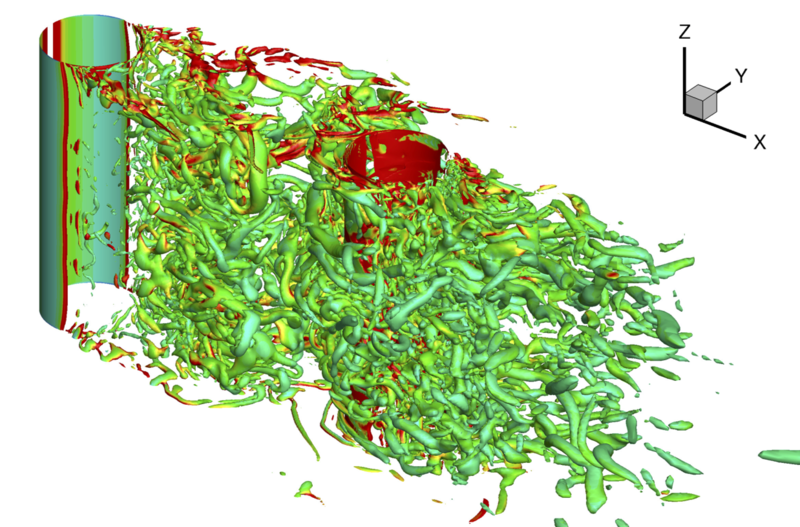 The turbulent flow field is resolved with the DDES solver with a new shear-layer adapted (SLA) subgrid scale model and the modified simple low dissipation AUSM (SLAU2) flux scheme. 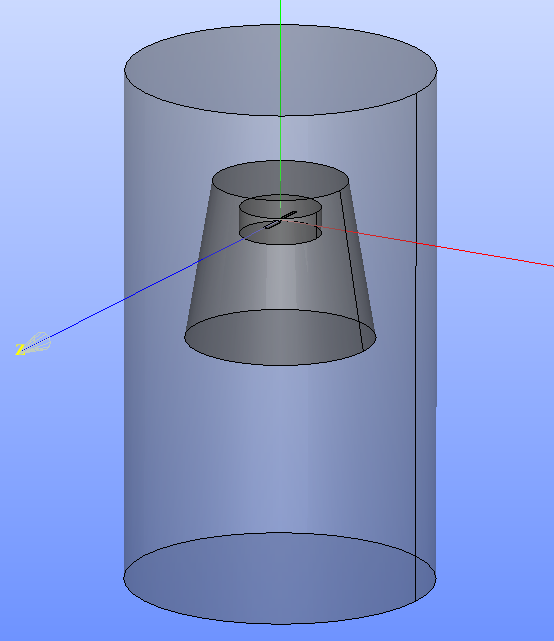 The acoustic propagation is performed with the solid/permeable-surface FWH solver. The hybrid DDES-FWH framework has been applied to the first validation case of the tandem cylinder. Turbulent flow quantities as well as far-field noise levels are compared against measurements obtained at NASA facilities. Other planned validation cases include: 30P30N three-element high-lift configuration, single-stream round jet, and rudimentary landing gear. E.S. Molina, B.Y. Zhou, J.J. Alonso, M. Righi, R. G. Silva, “Flow and Noise Predictions Around Tandem Cylinders using DDES Approach with SU2”, AIAA-2019- 0326, AIAA SciTech Forum, San Diego, California, January 2019. 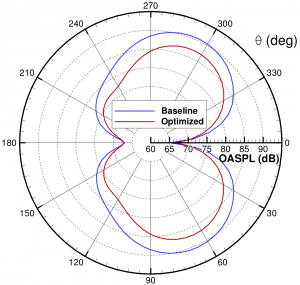 The conventional approach to predict broadband noise (BBN) is to first resolve the near-field turbulent flow with a scale-resolving method such as LBM, LES or hybrid RANS/LES. 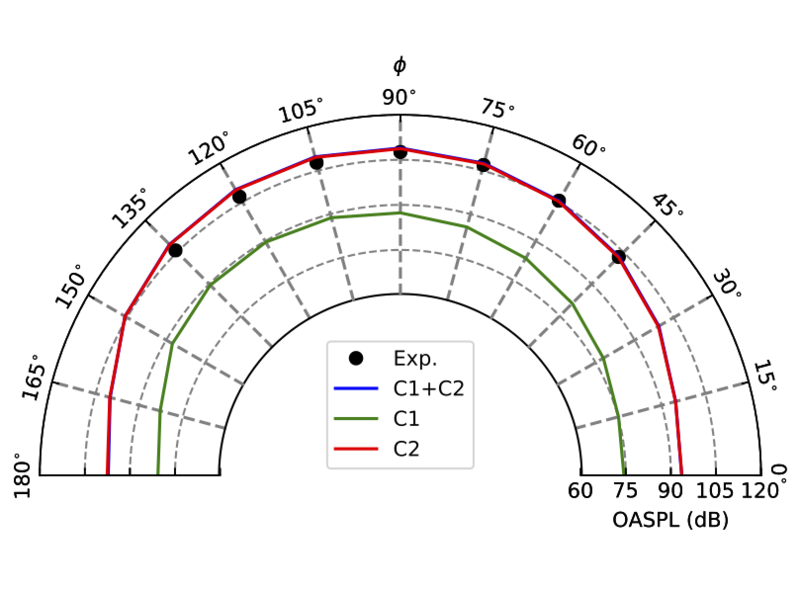 The noise source is then propagated to the far-field using an acoustic analogy such as FWH. 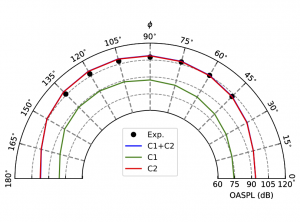 This two-stage approach is well-established in the aeroacoustic community. However, when an adjoint-based method is developed for such framework for optimal design purposes, the chaotic nature of the underlying turbulent flow causes the adjoint solution to diverge — an active research topic investigated by several groups. 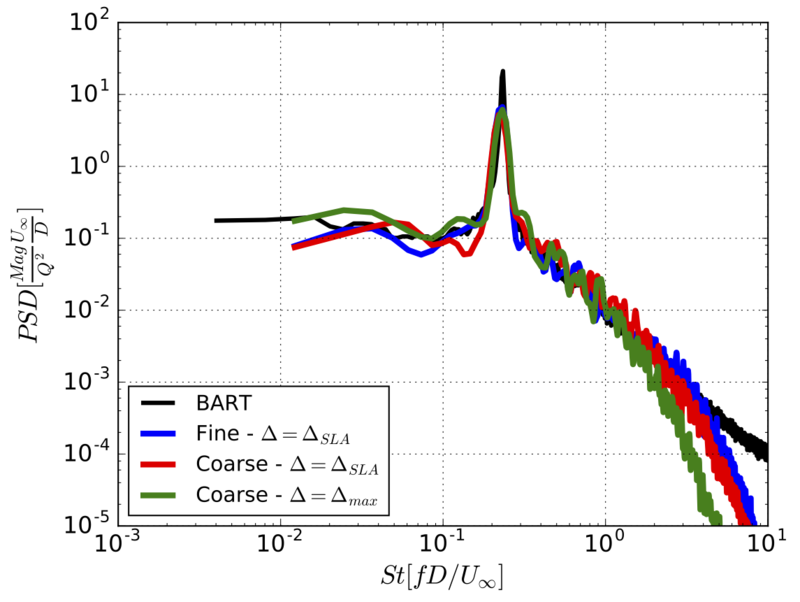 In this work, we develop an efficient framework based on stochastic noise generation (SNG), whereby the BBN source is stochastically synthesized using the mean flow turbulent quantities extracted from a preceding RANS solution. 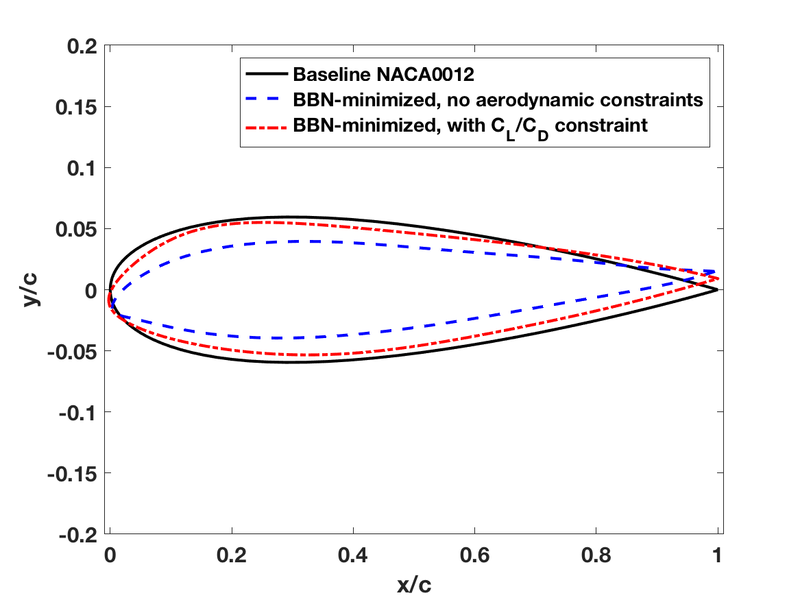 In addition to accessing BBN source characteristics and providing reliable design trends at a significantly reduced computational cost, this method also circumvents the divergence issue plaguing the adjoint solutions for scale-resolving simulations. This framework has been implemented in the SU2 solver suite, with coupled RANS-SNG adjoint to enable design optimization. Efforts to verify the reliability of this method using LES+FWH are currently underway. B.Y. Zhou, N.R. Gauger, H-D. Yao, S-H. Peng, L. Davidson, “Towards Adjoint-based Broadband Noise Minimization using Stochastic Noise Generation”, AIAA-2019- 0002, AIAA SciTech Forum, San Diego, California, January 2019. In this exploratory effort, unde rtaken jointly with mesh generation experts at the Old Dominion University and NASA Langley Research Center, an automatic grid generation procedure is coupled with the open-source SU2 solver suite. The proposed method is based on two building blocks targeting two different regions of the input geometry — a fully automated Boundary Layer (BL) approach capable of handling arbitrary geometries for the viscous region and a parallel local reconnection method for the inviscid region. 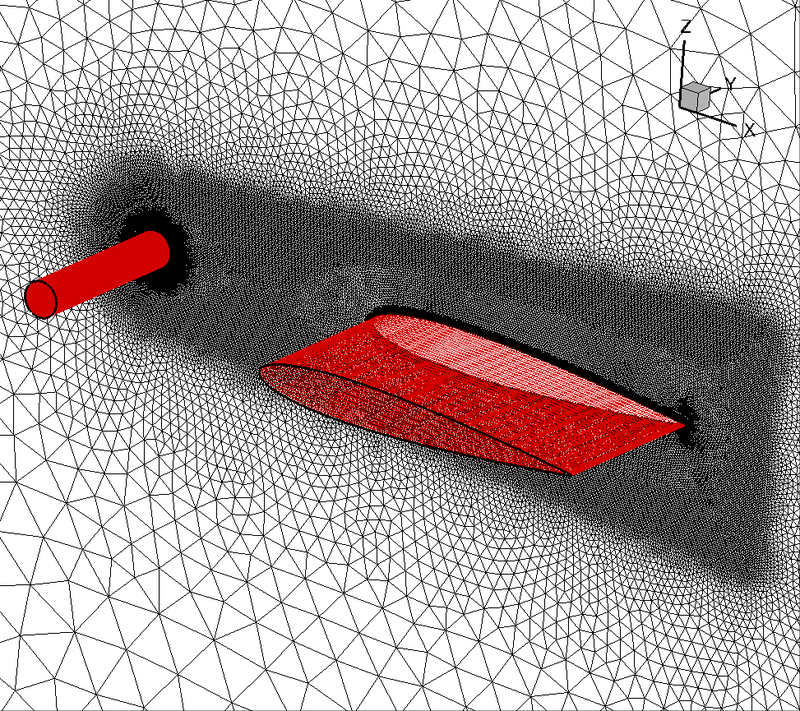 The mesh thus generated is used by the SU2 DDES solver to predict the turbulent flow over a delta wing experiencing vortex breakdown. The DDES solver employs a new shear-layer adapted (SLA) subgrid scale model and the modified simple low dissipation AUSM (SLAU2) flux scheme. It is also planned to explore solution-based anisotropic grid adaptation for turbulent flows in the near future. Other configurations of interest include chevron nozzles and landing gear models with increasing levels of complexity. 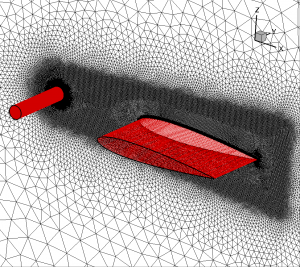 In this project, we continue our earlier effort (see Past Projects below) in developing an adjoint-based framework for the optimal design of porous aerodynamic surfaces to reduce trailing-edge noise, which is a dominant airframe noise source on an aircraft flying in the ‘clean’ configuration with all high-lift devices and landing gear stowed. The focus of the current work is on broadband noise. 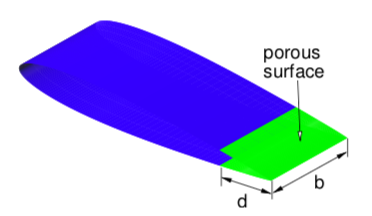 To that end, porous material is applied to an airfoil section with a sharp trailing edge. In addition, a poro-serrated trailing edge design is also investigated. Both aerodynamic and aeroacoustic performances of the designs are evaluated at two operating conditions: the low-Mach number takeoff/landing condition and the transonic cruise condition. A permeable surface Ffowcs Williams-Hawkings (FW-H) acoustic solver is implemented in the open-source multi-physics solver SU2. The FWH solver is coupled with the existing URANS and DDES solvers in SU2 for aeroacoustic acoustic predictions at arbitrary far-field observer locations. In addition, a consistent and robust discrete adjoint solver is developed on the basis of algorithmic differentiation (AD), to enable efficient aero-acoustic design sensitivity evaluation of the coupled CFD-FWH system. 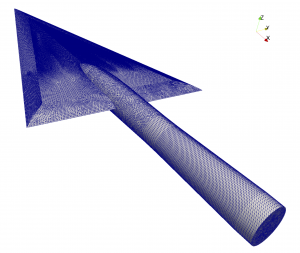 This coupled simulation and design framework is applied to the shape optimization of an airfoil section of a rod-airfoil configuration, to minimize the interaction noise. The optimization is conducted on the basis of URANS-FWH while the aeroacoustic analysis of the baseline and optimized designs are performed using the high fidelity DDES-FWH solver. B.Y. Zhou, T.A. Albring, N.R. Gauger, C.R. Ilario da Silva, T.D. Economon, and J.J. Alonso, “Reduction of Airframe Noise Components Using a Discrete Adjoint Approach”, AIAA-2017- 3658, 18th AIAA/ISSMO Multidisciplinary Analysis and Optimization Conference, Denver, Colorado, June 2017. B.Y. Zhou, T.A. Albring, N.R. Gauger, C.R. Ilario da Silva, T.D. Economon, and J.J. Alonso, “A Discrete Adjoint Approach for Jet-Flap Interaction Noise Reduction”, AIAA 2017-0130, 58th AIAA/ASCE/AHS/ASC Structures, Structural Dynamics, and Materials Conference, Grapevine, TX, January 2017. In order to meet the stringent noise emission requirement imposed by various regulatory bodies, it is insufficient to simply reduce the noise components related to undercarriages and high-lift devices — the noise from the ‘clean’ aircraft flying at constant altitude with all high-lift devices and landing gear stowed, must also be reduced. 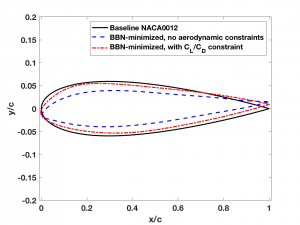 In this work, we focus on the minimization of trailing-edge noise — a dominant airframe noise mechanism on an aircraft flying in the clean configuration, generated due to the scattering of energy in turbulent eddies in the boundary layer as they convect across a trailing edge. To that end, porous material is applied to a flat plate with a blunt trailing edge, which exhibits a pronounced tonal noise component associated with periodic vortex shedding due to the bluntness of the trailing edge. 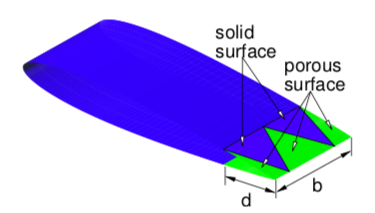 Adjoint-based noise minimization is performed to determine the optimal distribution of the design variables that govern the porosity and permeability of the trailing edge material. 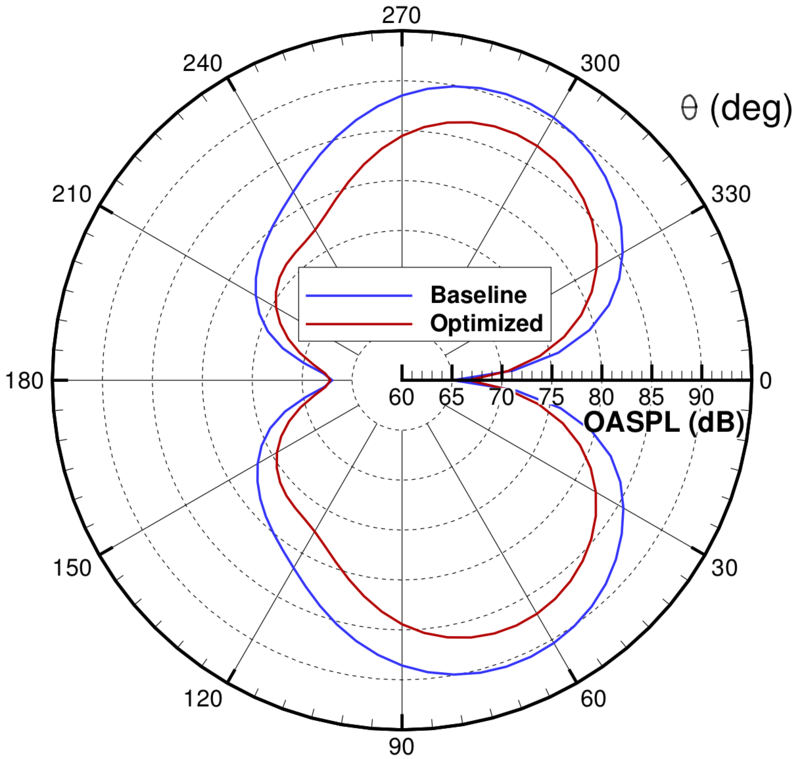 The optimal design obtained is found to attain a maximum noise reduction in OASPL of 12dB from the solid trailing edge and 3dB from the baseline design with a linear porosity variation respectively. The design space of this optimization problem is also found to be multi-modal.